Hello everyone! Quick question: does anyone out there have an interest in creating (not from scratch, I mean PUTTING TOGETHER with a pre-existing sheet) battle animations? I'm absolutely terrible at this, and 95% of what I make is far too stiff and just doesn't flow properly. 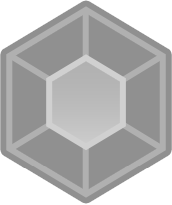 It's not a paid job or anything, but I CAN put you on the Game Page as being part of the team, or even add a character from your game (or something similar) to Chronicles of Tsufanubra as a cameo of sorts (for a boss battle). I only need about 35~, and they're all offense/status ailment oriented. 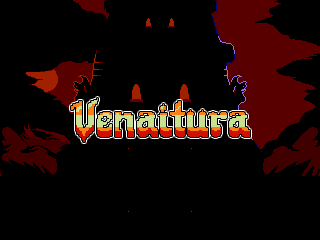 I've recently changed the name of my current project, Dragon Fantasy REMADE, to "Chronicles of Tsufanubra," and was wondering if there was anyone out there willing to take on the challenge of creating a title screen for me? The heroine, Celes, traverses the world of Tsufanubra in search of the four Divine Relics so she may receive their blessings and ascend into godhood, thus taking on her destined role as the world's Savior. It doesn't have to be anything particularly fancy, but I'd like to capture the feeling of a grand adventure. Something broad in scope, but at the same time personal. Celes is lead by the nose around Tsufanubra's entirety; from her quaint mountain village to the majestic capital of the world, but in a linear fashion that doesn't have her experience EVERYTHING Tsufanubra has to offer. 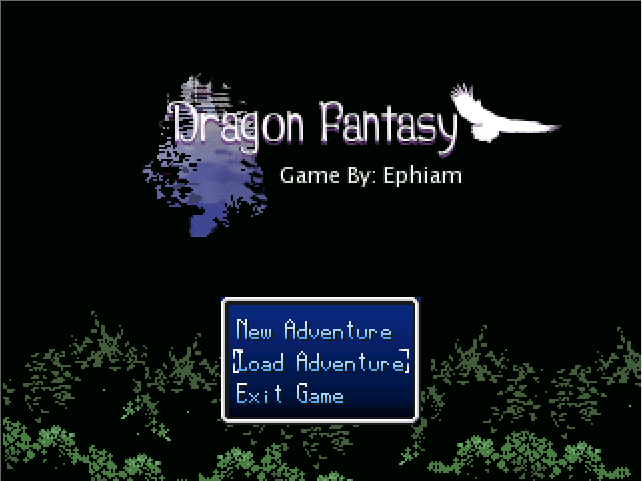 Mind you, I don't need the "Game By: Ephiam" in there, but there's something about that title that says "Adventure." It's simple and effective. Anyway, if anyone's able to lend their assistance, I'd greatly appreciate it! Right to the point: If there are any individuals out there who have a knack for writing some snazzy dialogue that would be interested in assisting me to write the dialogue for Dragon Fantasy: Remade, I would GREATLY appreciate it! What I'm looking for is someone who knows what they're doing, is capable, and can liven up the words of a character while keeping them IN character. I'm not asking for someone to write the script for me by any means, but once I have written the base I'd like to be able to pass it off to someone who may be able to inject some flavorful dialogue where there may have been none. I'd be looking to know if the dialogue flowed properly, if it felt natural, if the characters stayed IN character, or perhaps I could have worded/explained something differently, etc. And if you should feel that there's something missing that you'd like to add? Go right ahead! But I would need to approve said addition should that happen. Have any doubts about my capabilities? Look to my profile. I'm perfectly able to finish a game, even if it does take some time. Nevermind me. This was an EXTREMELY idiotic mistake on my part. Sigh. Hahaha. THe problem's been fixed! Before I go ahead and fudge something up when I decide to release an updated version of my latest project, do add-ons/Plugins simply STAY there if you simply export the project into a folder for others to play? Like there's nothing special I have to do to insure the version I upload includes the plugins I've recently added? The first few pages from the script of a game my friend and I are working on. Just curious as to how my dialogue is, etc. as well as any other general thoughts about these initial scenes. It's a light-hearted story taking place on the island of Four Points, with a mish-mash of time periods to create a wacky and fairly unique setting. Ted returns home from school to discover that something has destroyed his home and left a gigantic crater where it used to stand. He approaches to find his sister Kentley within the crater. In a blinding flash of light Kentley is transformed into a Jackalope right before Ted's eyes. He can only stare in disbelief and bewilderment as ancient magics change the physical form of his sister. Ted and Kentley depart for their Grandfather's house on the other end of town. He's nowhere to be found, but they make their way in regardless and search his belongings to find some clue as to what happened to Kentley. "Isaac Matthews' curiosity gets the best of him when he decides to follow a classmate who's not at all what he expected. She's a gate keeper; a person who hunts down objects mutated by ghosts after dark! His normal life takes a turn for the bizarre when this classmate offers him a position as her ghost hunting partner! Will Isaac take her up on her offer, or try to return to his normal life? Get ready for a ghost story like no other." Hey folks, how are you all doing? Good, I hope! I've created this topic today to help a friend out and spread the word of a Webmanga she's been pouring countless hours into for quite a while now. Said webmanga is entitled "SHAMROCK." She's done me quite a few favors in the past which have mainly included character sketches, posters, etc. as well as sharing the word of a few of my RPG Maker projects, so this is the LEAST I can do for her! I think she deserves the exposure, and the more she gets the better! So far there's been SEVEN chapters released in total, with an eighth being developed. Click here to read SHAMROCK at Mangamagazine! Volume ONE is now available to pre-order through Storenvy! "This book is perfect bound with full color covers and a B&W interior. There are over 190 pages of story (chapters 1-9), and 20+ pages of extra content unavailable anywhere on the web!" Hey everyone! I realize I've made more topics requesting title screens around here than I have to actually discuss something relatively interesting, but what can I say? I usually love the results I get. And again, it's always so very awesome to see someone elses work that is (even lightly) based off of your idea/game/what-have-you. Anyway, this time around I'd like to put in a request for my latest NES/OLD-SCHOOL inspired project entitled "DRAGON FANTASY: HEROES OF TSUFANA." I am proud to say that this game greatly imitates the workings of an actual NES game, and is definitely my most polished game to date. This project is being made using RPG Maker 2003, and should be released sometime this Month. And yes, that is the FULL GAME I am talking about. Complete with optional content and all. What I'm looking for in the title image is something that invokes a sense of adventure. The game focuses mainly on exploration, so I want to put emphasis on that above all else. A group of warrior looking out over the landscape? A birds-eye view of the world from the heavens? Anything at all I'll welcome, so fire away! But remeber that this game is imitating NES RPGs such as Dragon Warrior, so nothing TOO fancy or modern! Thanks for the read. I appreciate any and all contributions! And although I will not be able to offer pay for your work, I will list you in the credits and credit your work where appropriate. That is all I can offer. For whatever the reason may be, whenever I attempt to create a new Blog entry on any of my Game Pages, an error occurs and that "Oops! Something went wrong..." message is displayed. So is this just happening to me, or is anyone else experiencing this problem as well?